Uploaded by Farrukh Younus on 2013-12-22. Le Brussels Ice Magic ouvre ses portes vendredi au public. Le pavillon accueillant ces sculptures, représentant les plus grands héros de bande dessinée, s’est installé sur la place des Palais. 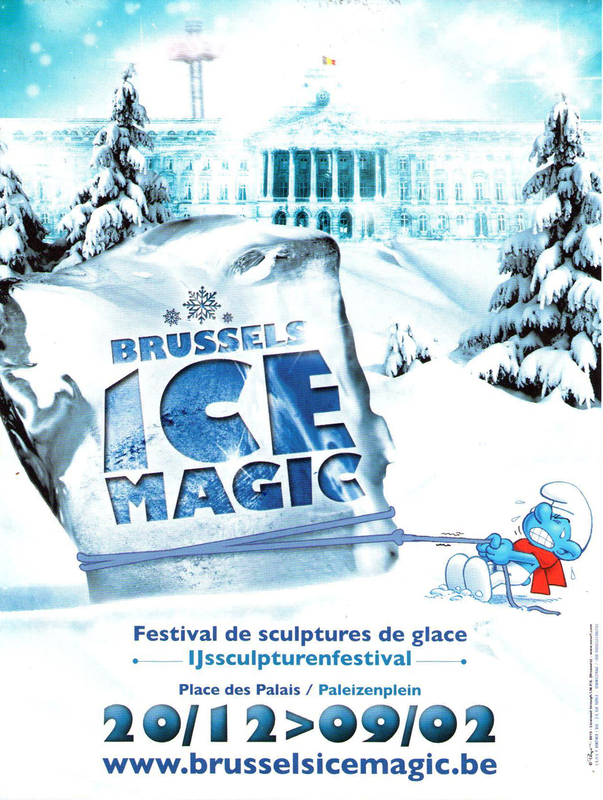 Duplex en direct du site du Brussels Ice Magic, festival de sculptures sur glace. Des héros de la BD franco belges sont taillés dans des blocs de glace. Bruxelles accueille ces deux attractions pour la première fois. Durant “Brussels Ice Magic”, plus de 400 tonnes de glace seront transformées en sculptures inspirées du monde de la bande dessinée sur la place des Palais. Des sculpteurs belges et internationaux seront sur place pendant trois semaines pour créer leurs sculptures de glace, pouvant atteindre une hauteur de six mètres. Sculptors from around the world have come together at the Brussels Ice Magic festival to bring comic strip characters to life from ice and snow. Check out the masterful creations that make up a winter wonderland. 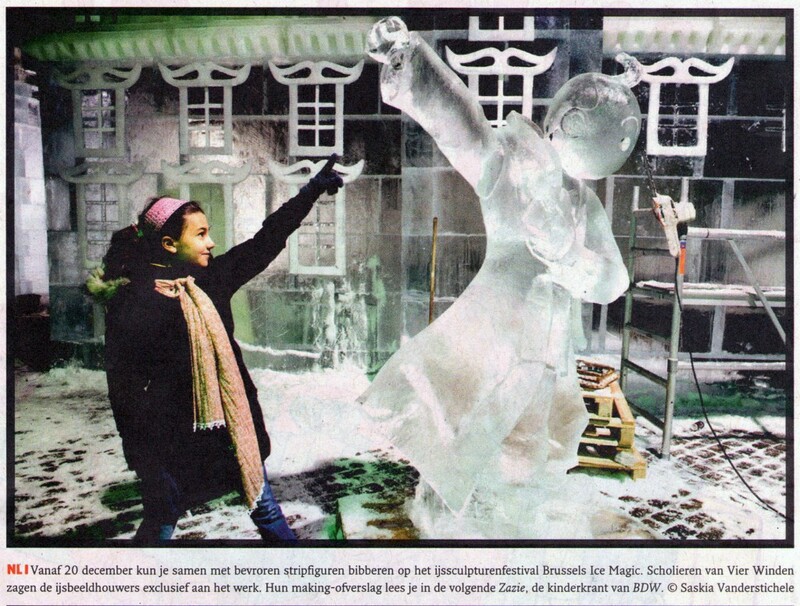 TINTIN / Brussels Ice Magic: IJssculpturen van Kuifje, Quick en Flupke tegen gereduceerde prijzen! De eerste editie van het ijssculpturenfestival “Brussels Ice Magic” en de attractie “Brussels Skyliner” is ingehuldigd. 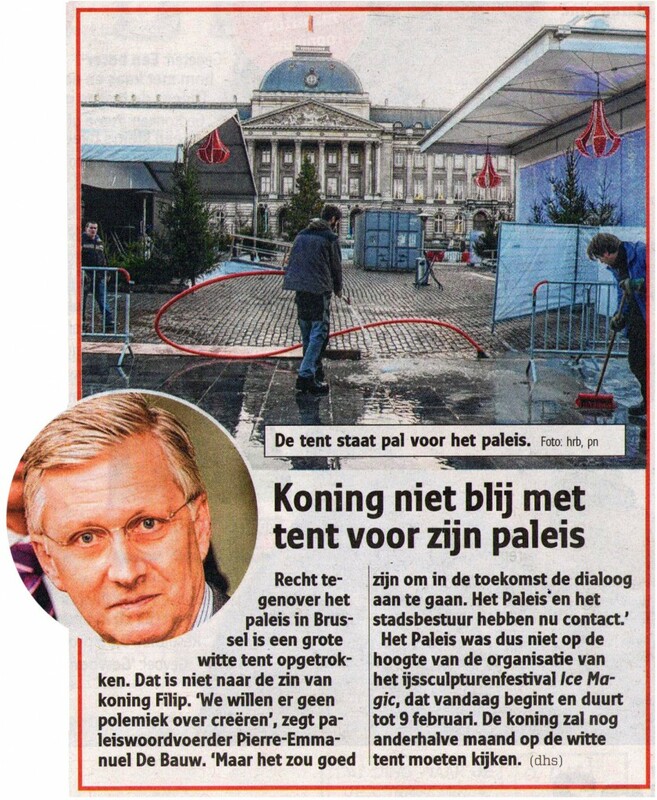 De attracties staan van 20 december tot 9 februari 2014 op het Paleizenplein in Brussel. Het is de eerste keer dat Brussel beide attracties mag verwelkomen. ‘Rustig ademen en ontspannen! Wie verstijft, krijgt het nog kouder. Want dan stroomt je bloed niet meer goed door je lijf. Kijk, ik draag zelfs geen handschoenen,’ toont Christian ons, terwijl onze ademwolkjes langzaam vervliegen. Hij verwelkomt ons op de set van Brussels Ice Magic. Het thema van het ijssculpturenfestival is ‘strips’. After Tintin it is now turn of the Smurfs. From Friday 24 to Sunday 26 January, the Smurfs will be joining the ice sculpture fun of Brussels Ice Magic for a special weekend that promises to be packed with surprises. Totally dedicated to the world of cartoons, the festival will be inviting a very special guest for the occasion: Smurfette! Brussels, Belgium is a winter wonderland, this Christmas season, with a variety of brand new activities to enjoy over the holidays. We’ve given you plenty of ideas to get in the holiday spirit in Belgium, with Christmas Markets in Bruges, Ypres, Ghent, and the Grottes de Wonck.